The man called 911 from outside Southeastern Baptist Theological Seminary. 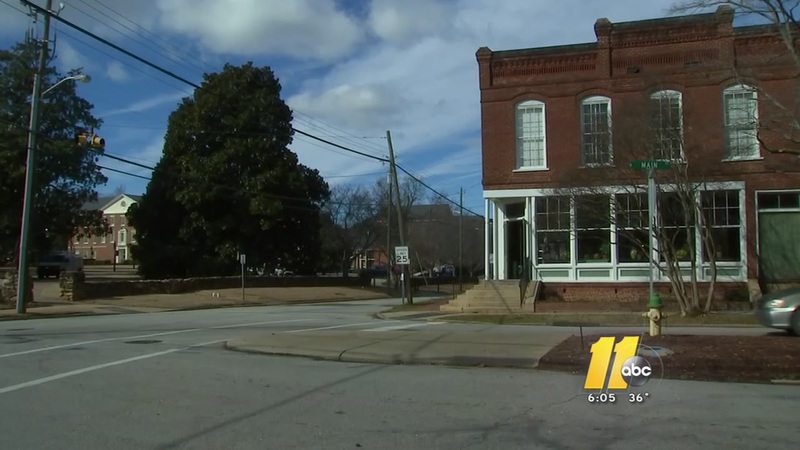 WAKE FOREST, NC (WTVD) -- A search is underway for the culprits in an attack on a 75-year-old man near a seminary school in Wake Forest. The victim is pretty banged up - but is recovering. The attack happened around 8:30 Thursday night in the downtown historic district. The elderly man was walking alone when he was beaten. Victim: Is this the police? Operator: Yes sir, what's going on? Victim: I've been mugged, I've been beat, I'm bleeding. Operator: Ok where are you at? The 75-year-old man told Wake Forest Police that a man approached him from behind, punched him, demanded cash, then took off empty handed. On Friday, ABC11 spoke to neighbors and students who are shocked. "I don't understand why people these days feel the need to have to rob," said Olivia Gibbons, a senior Wake Forest High School student. "You know if you want it. Go out and get it yourself." "It's really heartbreaking that this happened - especially someone who is older like that and defenseless," said McLeod Best, a student at the seminary school. "My class lets out at nine tonight so I'm going to be more watchful when I'm coming out to the car," Roy Garza said. On Friday, Wake Forest Police released images of a dark-colored vehicle and of two men they wanted the public to see. About 7:45 p.m., 45 minutes before the elderly man was attacked, investigators say two men drove off without paying for gas at a nearby convenience store. Police initially called these two men "persons of interest" in the attack but later Friday night they said that the driver of the vehicle involved in the gas drive-off at Wake Forest Deli and Grocery has come forward and been positively identified. The investigation into the assault and attempted robbery continues, police said, and "any connection to the gas drive-off is yet to be determined." And they urge neighbors and students to be careful. "I'm definitely going to keep my eyes open. Keep my ears open. Looking both ways," Gibbons said. Police also encourage people to walk in groups and well-lighted areas. And turn down the volume when listening to music while walking. If you have any information, call Wake Forest Police at (919) 435-9421 or call the Wake Forest Police Department Tip Line at (919) 435-9610. All calls are confidential.